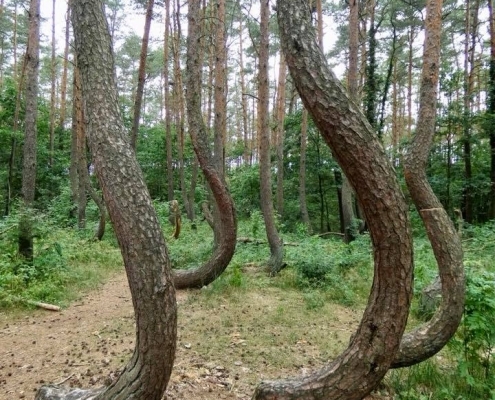 I saw pictures of this natural oddity a few years back and it was definitely on the “to see” list. 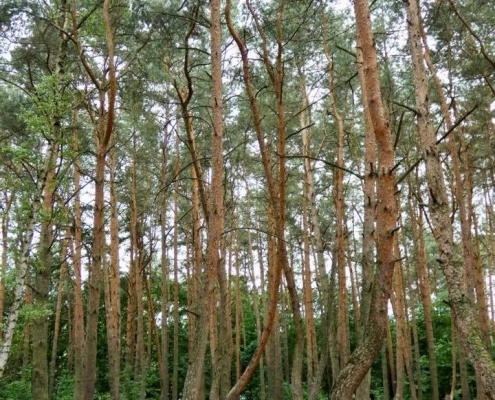 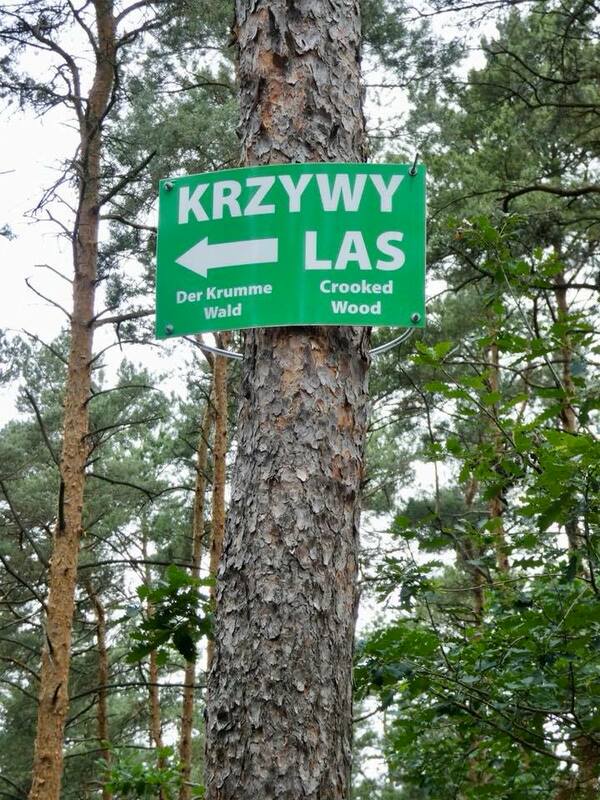 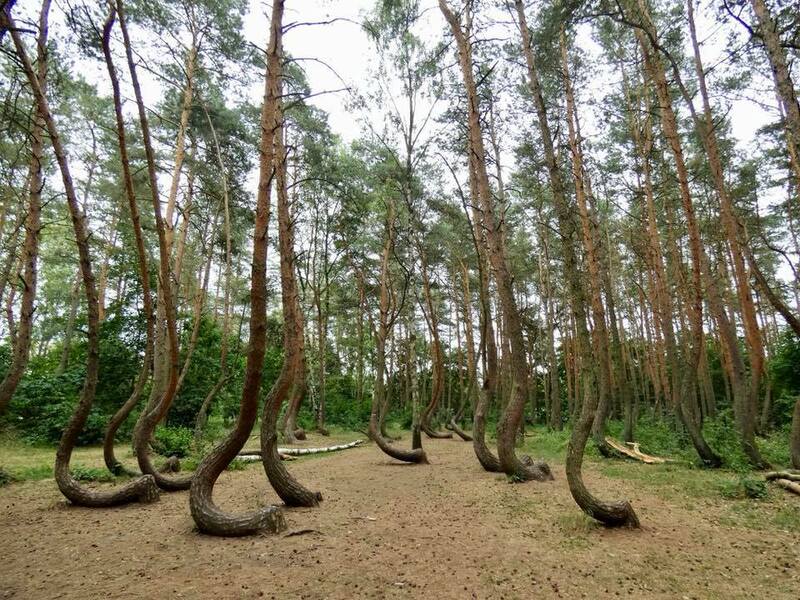 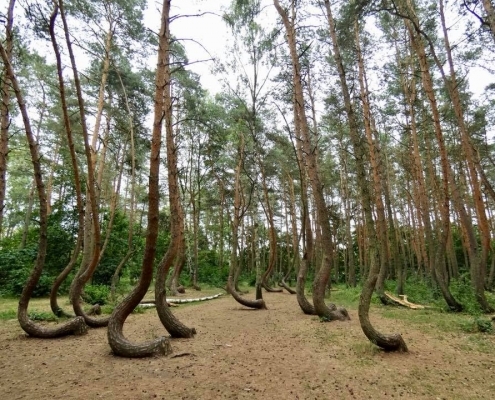 A short distance across the German border into Poland, near the village of Nowe Carnovo, is this bizarre forest of about 50-100 trees that are all uniformly oddly shaped. 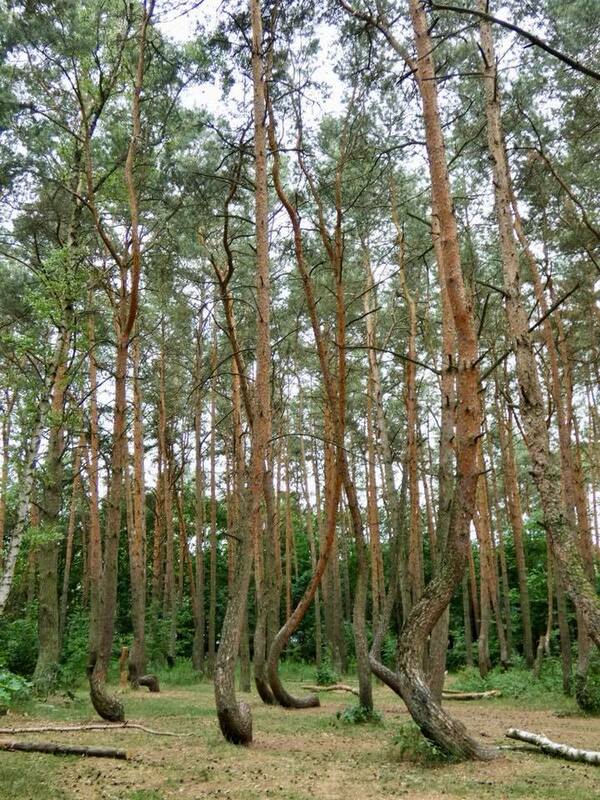 All are bend 90 degrees about 2 feet/half meter from the ground. 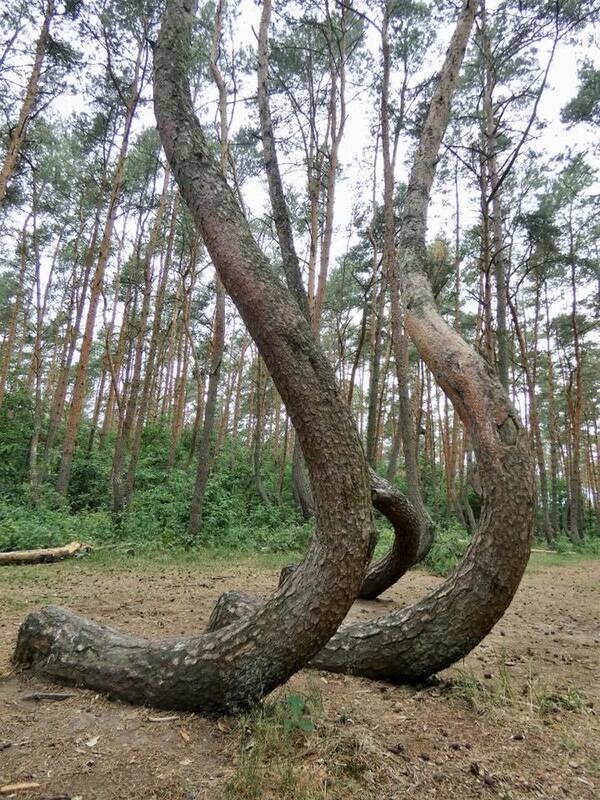 Different theories exist to explain this – heavy snow damaged trees when they were young or German tank trampled them in WWII. 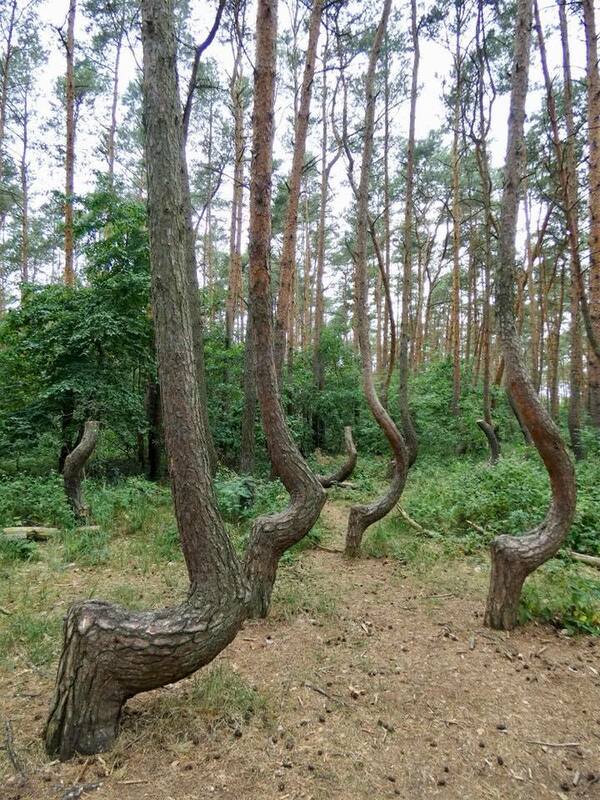 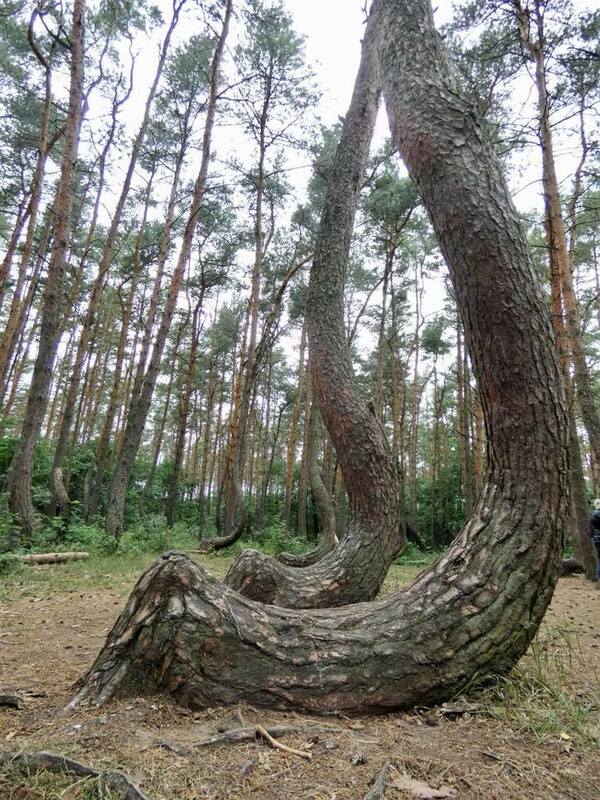 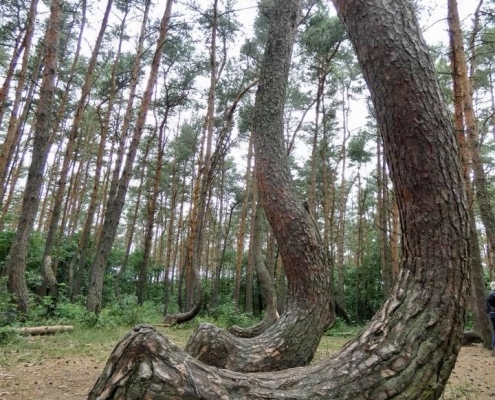 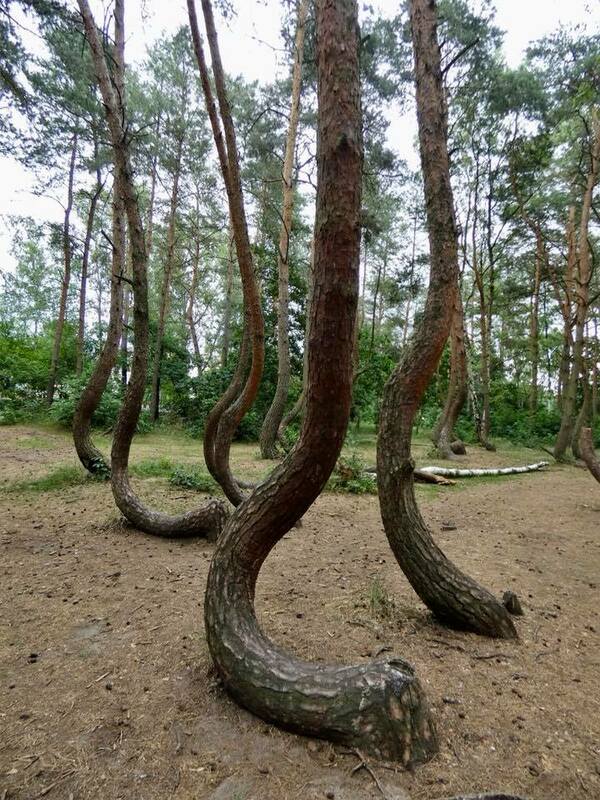 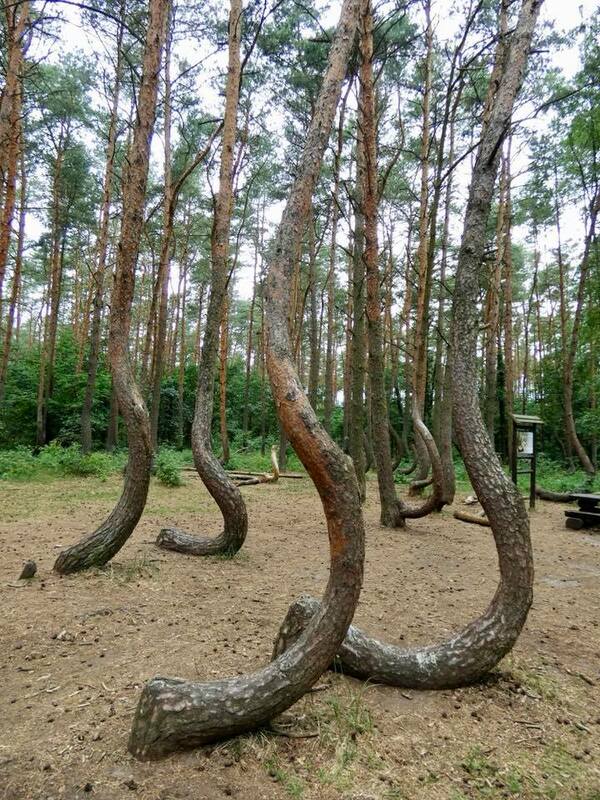 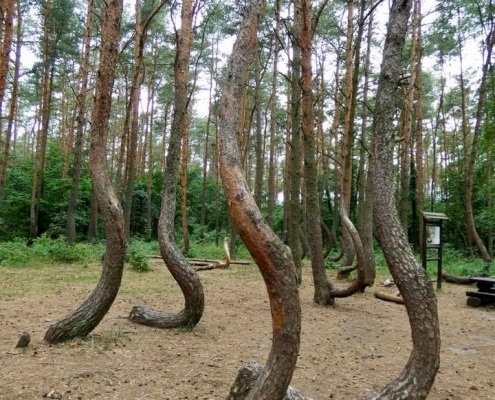 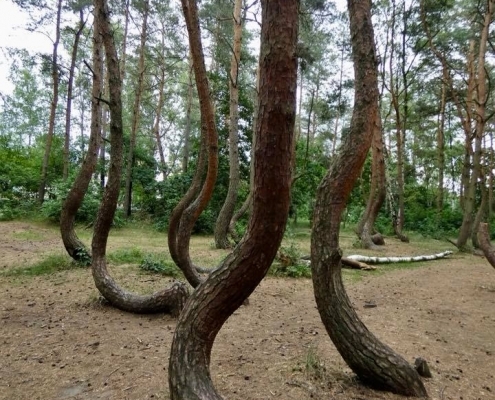 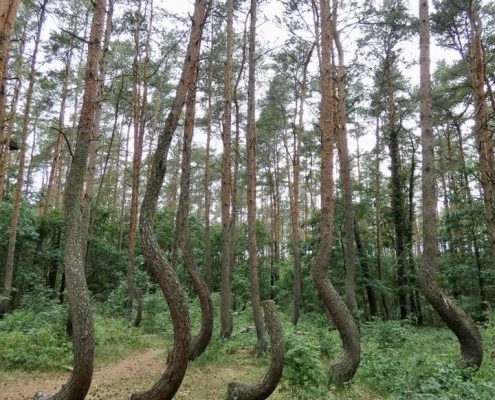 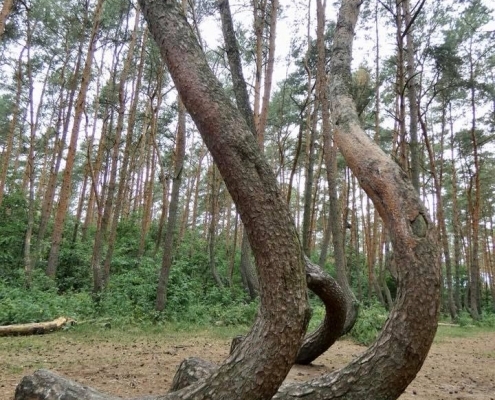 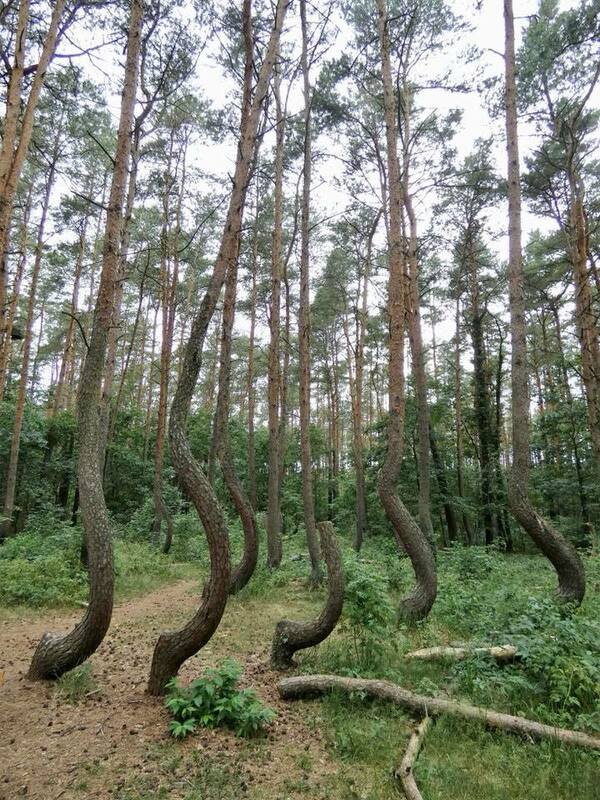 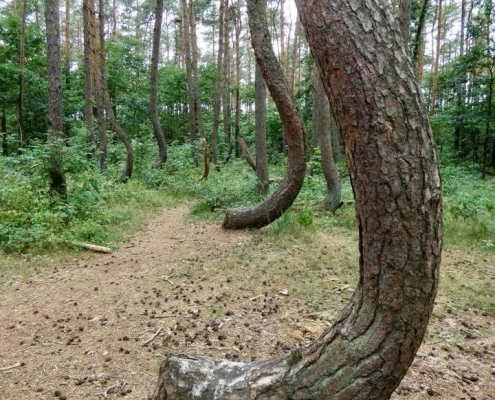 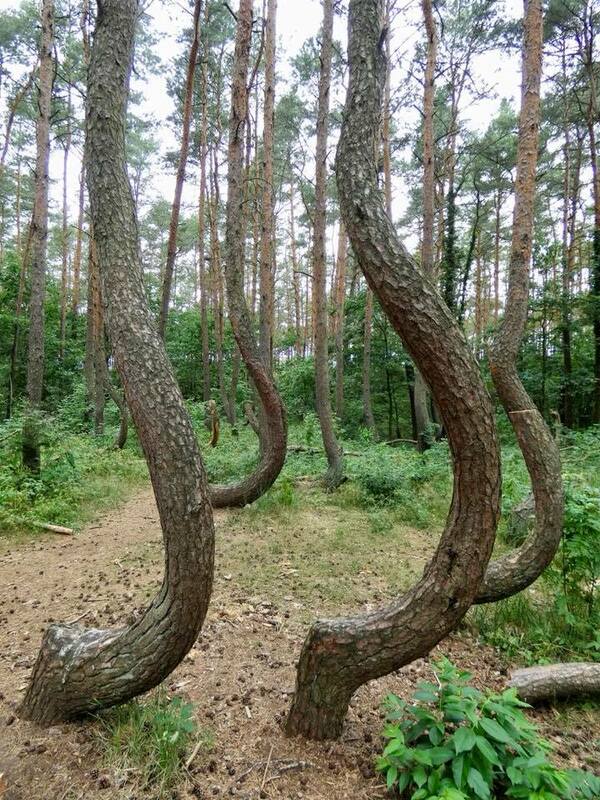 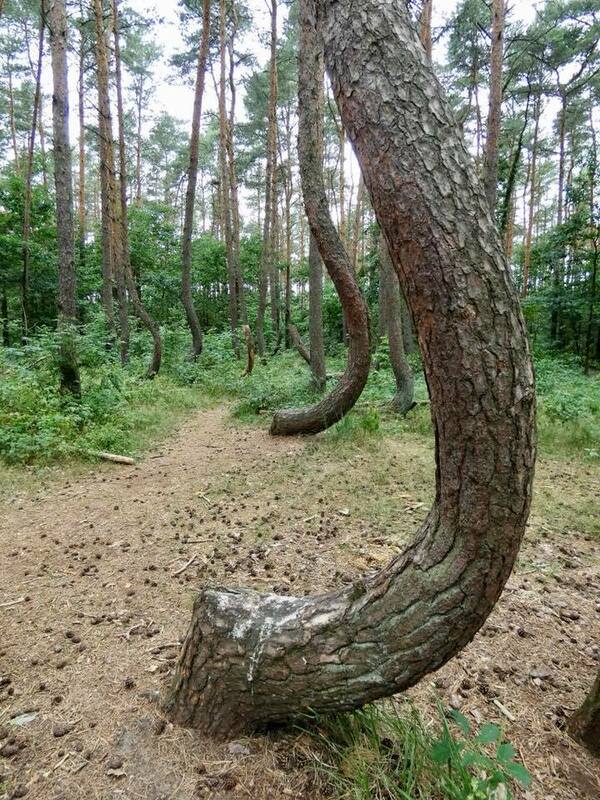 The more likely explanation is than these trees were bent artificially by men to create curved wood for shipbuilding. 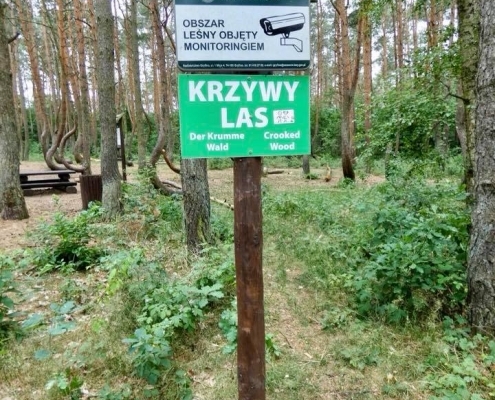 Sadly, the site was pretty pathetic and unprotected. 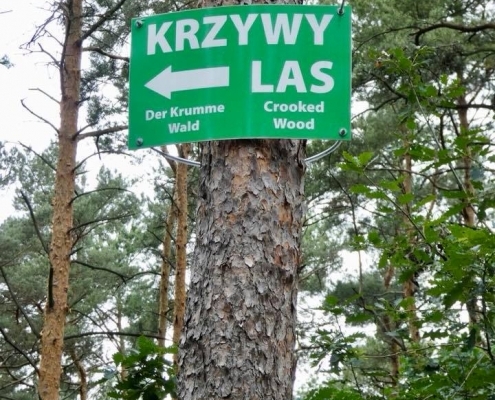 While the internet claims there are about 400 trees, I seriously doubt there are more then 50 left as locals just come here for picknicking and use some of the wood for fire (there was a drunk couple grilling while I was around). 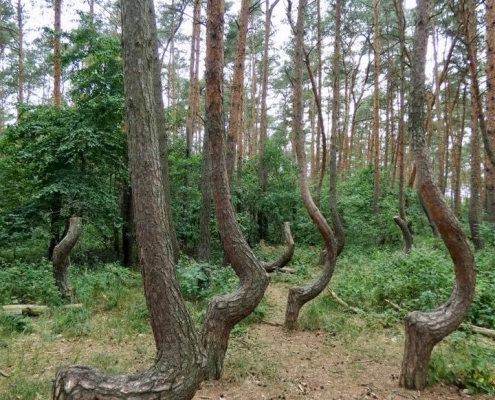 Pictures actually exaggerate the attractiveness of this otherwise fairly pathetic and disappointing site.